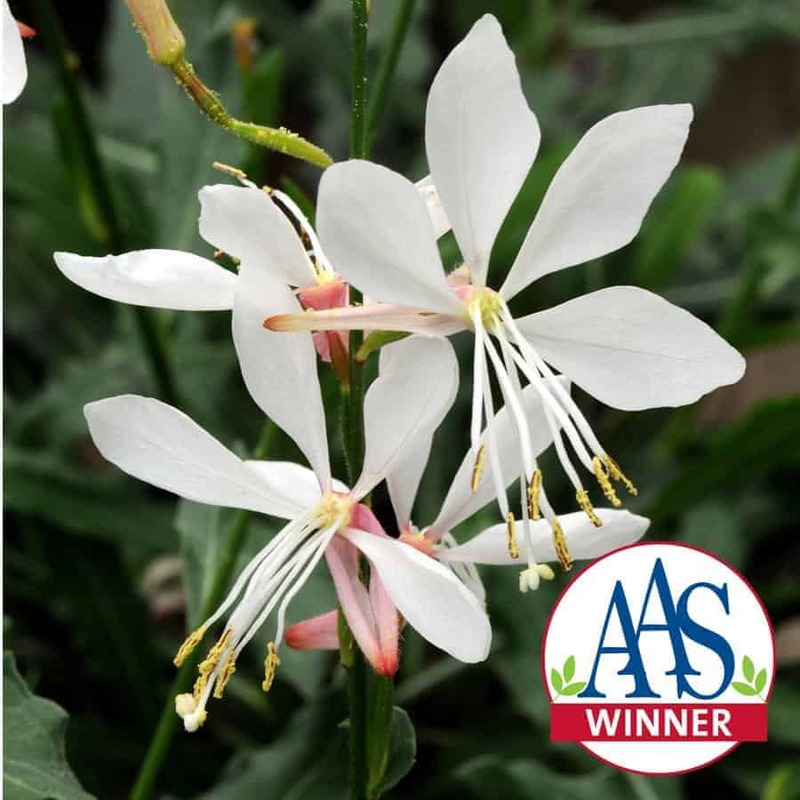 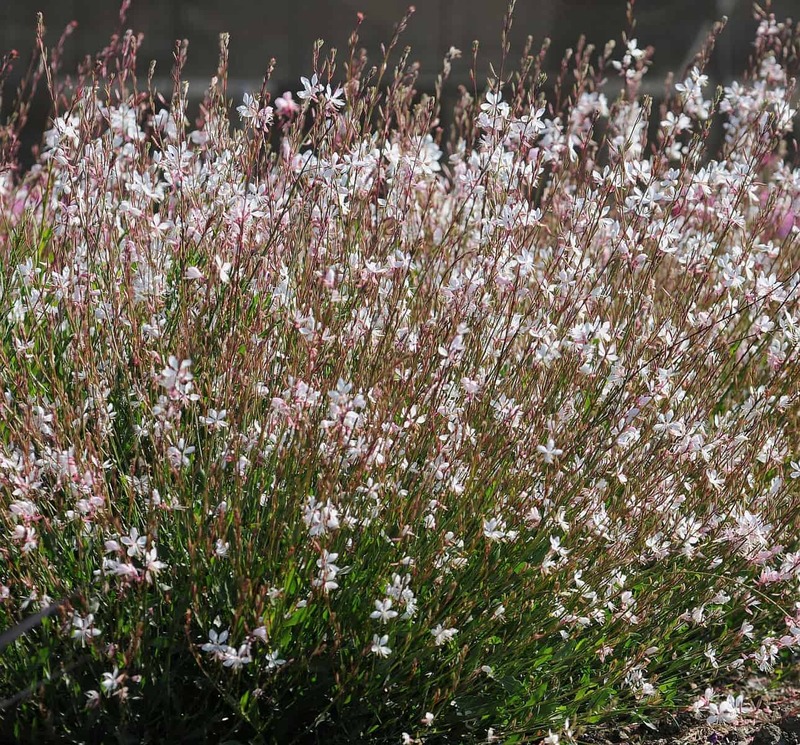 Sparkle White gaura will bring a touch of airy elegance to the garden with its long slender stems sporting a large number of dainty white flowers tinged with a pink blush. 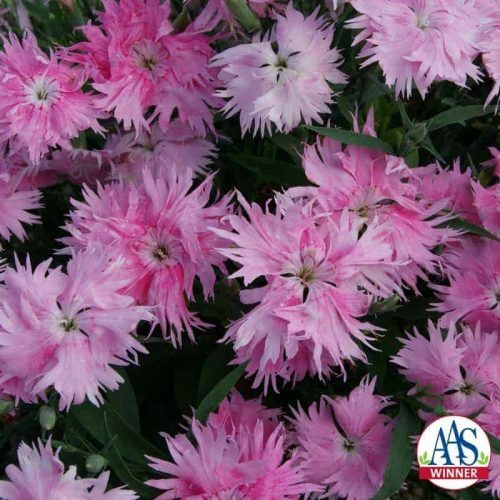 This beauty is perfect mass planted in sun-drenched landscape beds, in groupings with other perennials or in larger containers. 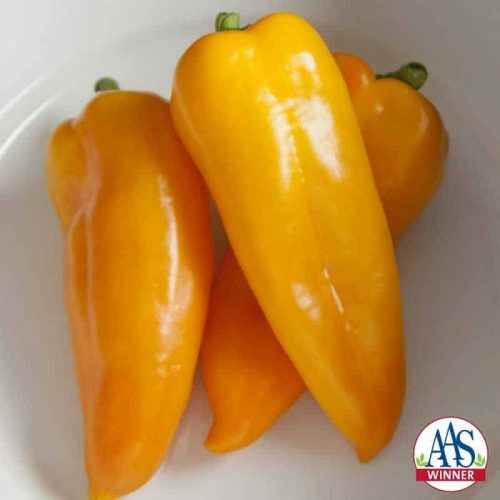 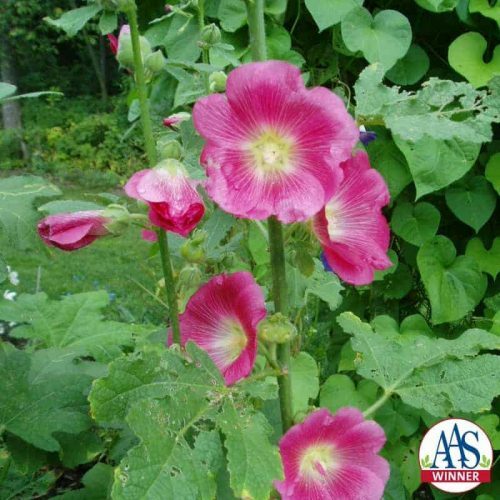 Home gardeners will appreciate that this season-long bloomer also has excellent heat tolerance and a more uniform flowering habit than other seed gauras. 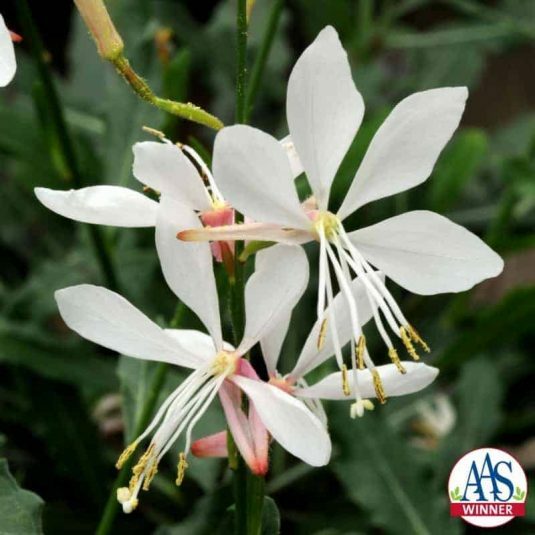 Commercial growers can utilize Sparkle White as a first-year flowering perennial or as an annual, showing its wide range of uses. 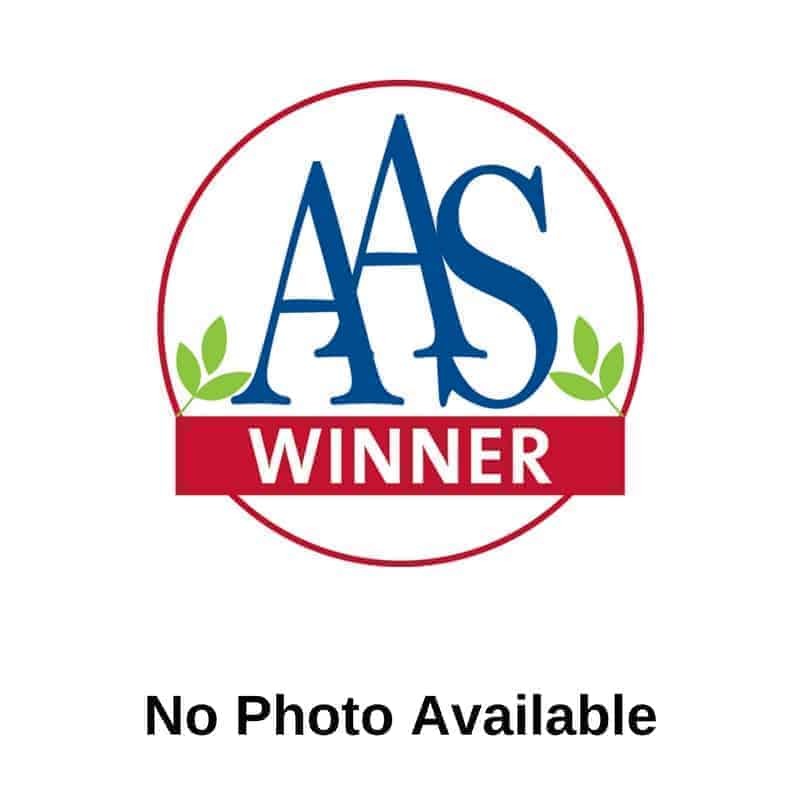 Sparkle White is also a recipient of Europe’s FleuroSelect Gold Medal award for garden performance. 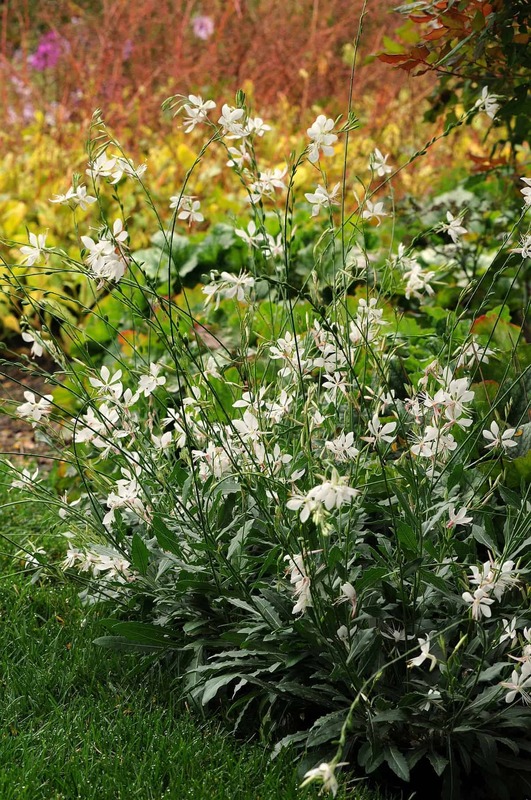 Choose a sun to partial sun, well-drained location. 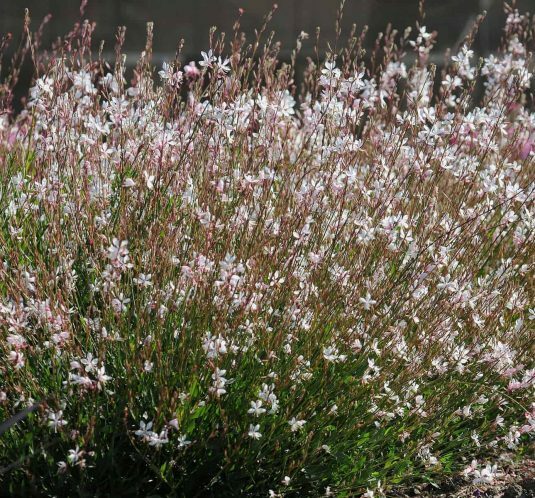 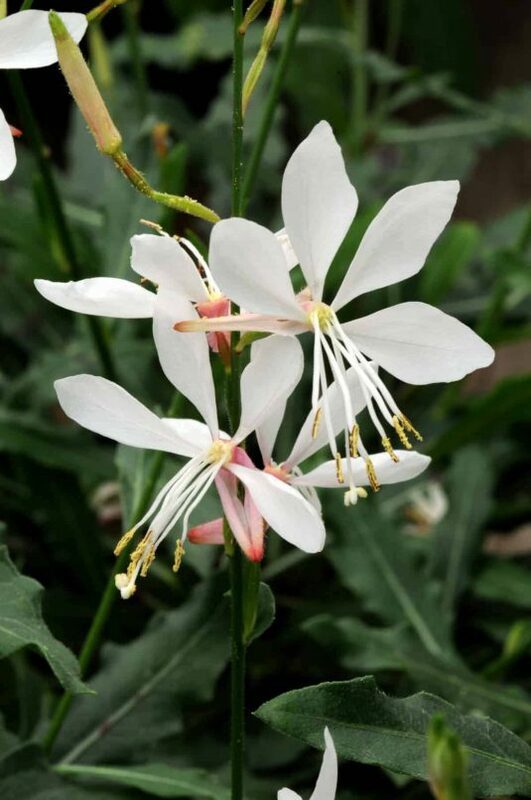 Plant Gaura Sparkle White at 18-20 inches apart.